Lo and behold Valentine’s Day is upon us again. Growing up my mother would put a heart shaped box of chocolates on the dining room table for us to find when we awoke. When we got older we would make Valentine’s Day cards for that special person at school and then one for my mom and dad too. That was fun. I miss the simple part of that day where just reminding someone that you care for them was enough. The day can be fraught with peril for some where expectation can exceed reality. A good day for close kindness is wasted if the right restaurant is not picked, or flowers from the grocery store are purchased. The landmines can be anywhere and everywhere. While certainly not perfect, I make it a point in my life to be present with whomever I am with no matter what day it is. To give them my attention and to enjoy theirs to me. So this Valentine’s Day just be the present, and be present. Oh, and since chocolates go with any occasion, try Liled’s Candy Kitchen on Tennessee. Here is my Sugar Tooth post from last year featuring Liled’s. While my father lamented the reprisal of tuna casserole on my birthday, he was in agreement with me on one thing: Chocolate cake for dessert. On occasion, my mother would try to make something from scratch. Chocolate cake was not this thing. A box mix where she added eggs and milk. Oh! She did have a secret ingredient. She would reduce the amount of milk asked for and replace it with a half cup of cooking oil. “It makes the cakes moist,” she would say. In the years to come I would choose to melt butter, in the same amount, and add that to my cakes. In either event, she was right. The devil’s food cake she served was indeed moist and delicious. The fun part for me was to lick the beaters and the bowl of the liquid cake mix after she placed the batter in the pans. Even more fun was making, and cleaning up after, the buttercream frosting. In Culinary School I became fond of making an Italian meringue buttercream frosting where one boils the sugar and then, when it reaches 235°F, pours a fine stream of this sticky hot liquid into a whisking bowl of eggs whites just as they reach a soft peak. It’s all in the timing folks. That buttercream is silken, soft and delicate. This is not my mother’s buttercream. I still remember the recipe, I think. She would take a box of powdered sugar and beat into it a softened stick of butter, add a teaspoon of vanilla and maybe a splash of milk to soften. For chocolate, we would either melt a square or two of bitter cooking chocolate over a double boiler, or at that time, Hershey’s had it in liquid form to save the step of melting and possibly burning the chocolate. In the end there was chocolate flavored sugar atop my chocolate birthday cake. Which my dad never complained about. The best thing about birthdays growing up, is that we could have a slice of cake for breakfast the next day. This practice, no doubt, helped to develop the sweet tooth that I have today. Ah well, life could be worse. 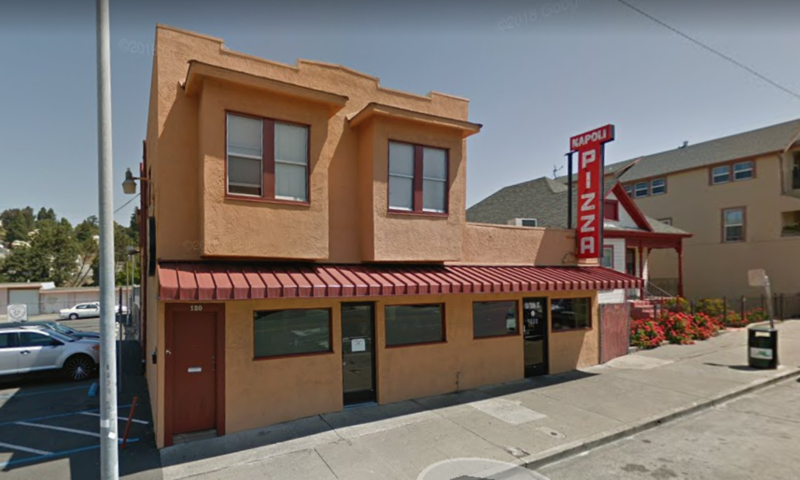 Speaking of sweet tooth, on the advice of a friend I recently discovered another Vallejo tradition: Liled’s Candy Kitchen, located at 1318 Tennessee St. I drive Tennessee Street a lot and the only reason that I can think of for missing this gem, is the lovely green tree on the sidewalk which blocks their sign. Otherwise I would have fed my sweet tooth there years ago. Maybe someone from the city will read this and trim up the branches? Pretty please. The shop is quaint to say the least. Founded in 1936 I doubt if they have ever remodeled the interior and I, for one, am glad they have not. They still use real wooden signs to display the flavors of their ice cream. They have all the handmade chocolates that you could hope to find. I saw chocolate covered espresso beans, cherries, almonds, brittle and so much more. In addition to the scoop of double chocolate French ice cream, I bought a small box of their Favorites. I’m two bites in and looking forward to breakfast. Come on sugar tooth. This is a locally owned and operated business run by one of the kindest gentlemen I have met in Vallejo. He was too busy to visit so I did not catch his name, which I promise to do the next time I stop in . . . probably sometime later today. Go there, try the chocolates AND the ice cream. You will not be sorry. Happy “Be present/Valentines Day” my friend. As always wonderful truth.